Since coming into being in 1920s New York, the penthouse has represented exclusivity like no other type of property. A building may house several apartments but only one penthouse, and it’s this uniqueness that makes them so valued and desirable. In Monaco, penthouses come in different guises. They may sit atop a turn-of-the-century architectural treasure that oozes old-world glamour, or a gleaming modern high-rise, but they inevitably enjoy luxury amenities, such as state-of-the-art home technology and high specification fittings and finishings. Some will have their own private lift and entrance, home cinemas or swimming pools, but most enjoy high ceilings, panoramic, sun-filled windows and generous terraces boasting incredible views. If you are looking for a Monaco penthouse for sale, they may be rare, but they are not impossible to find. 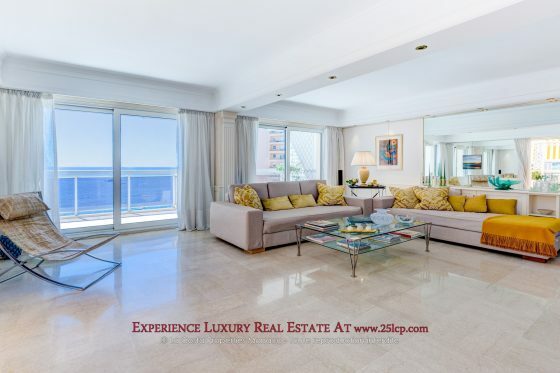 Currently on the market is a three bedroom, double-drawing room 300m2 penthouse in an art déco residence in the Carré d’Or, which enjoys a further 130m2 of terraced area. In Larvotto, a four bedroom 268m2 penthouse is on offer, with a spacious drawing room which opens out onto a beautiful terrace with unparalleled sea views. 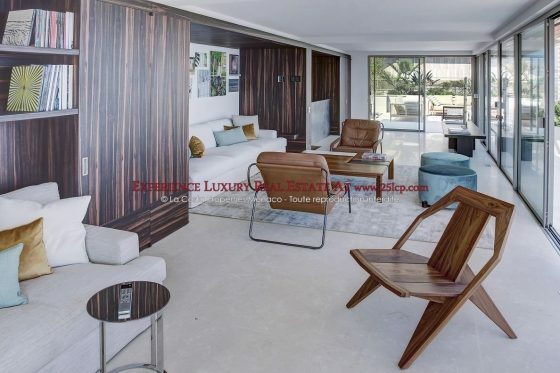 Also near the Larvotto beaches is an exceptionally refurbished 470m2 duplex, with four bedrooms and two elegant reception rooms, a home cinema and a spacious terrace with spectacular sea views and a private pool. Penthouses are ideal for those who enjoy modern apartment living, but still crave outdoor space and a feeling of complete privacy. One such example is the Villa On Top in La Rousse, with its spacious 290m2 tree- and plant-filled terraces, where distinct areas for dining, relaxing and sunbathing have been created, along with a summer kitchen and bar, and an infinity wave pool. Despite its extravagant views across the Principality and the Mediterranean, you could be forgiven for thinking you were in the garden of a private Monaco villa. On the floor below, all rooms open out onto a wrap-around terrace, and are filled with light. There is an American-style kitchen, a dining room and drawing room, an elegant master bedroom with a dressing room, en-suite bathroom and private terrace, and two other light-filled guest rooms, each with en-suite bathrooms and terrace access. The Villa On Top is a unique piece of architecture, designed with flair and artistry. 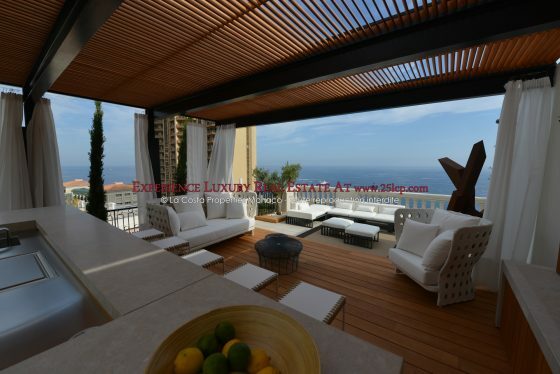 In reality, there are few Monaco villas for sale, but the Villa On Top is a special rarity, one that combines all the glamour and prestige of a penthouse, with the peace and tranquillity of a villa. This entry was posted in Monaco Real Estate by Relevance. Bookmark the permalink.